As my brother-in-law's wedding draws near I have enjoyed giving my input here and there...hopefully I am not terrorizing my soon-to-be sister-in-law. 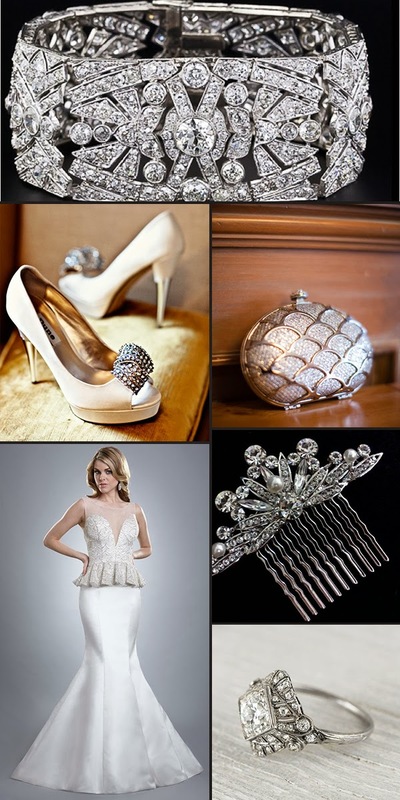 While looking for things in Katherine's style choice I have come across some lovely things totally unrelated to her. Funny how that happens...I have always been intrigued by the Art Deco movement and just in the last five years or so have really grown to love the style of that time. 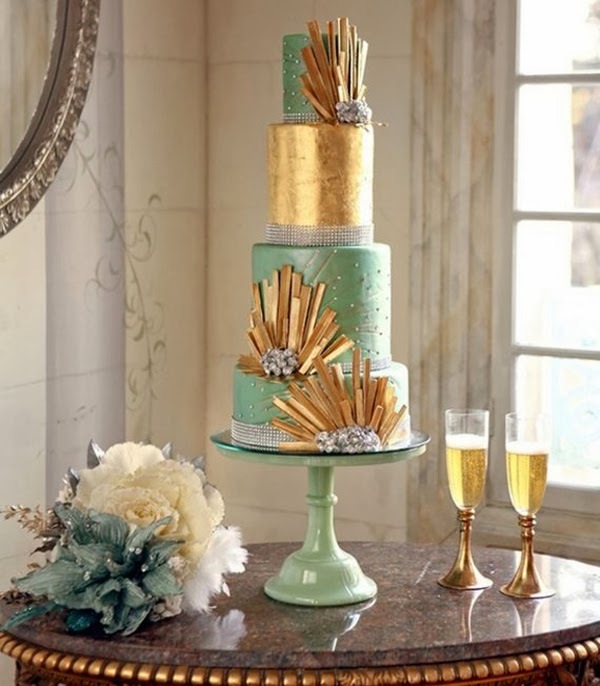 I'm sure Great Gatsby and Lady Mary's wedding didn't have anything to do with it. 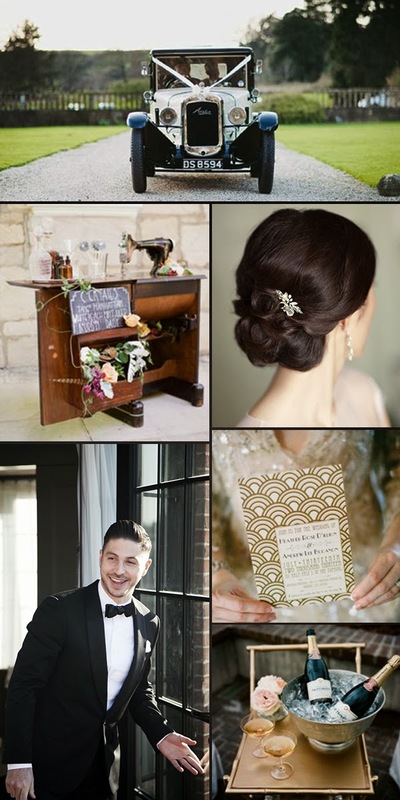 So in my pinterest perusing I thought I would share some things I have found and really liked. Follow us on pinterest to learn more about these photos. 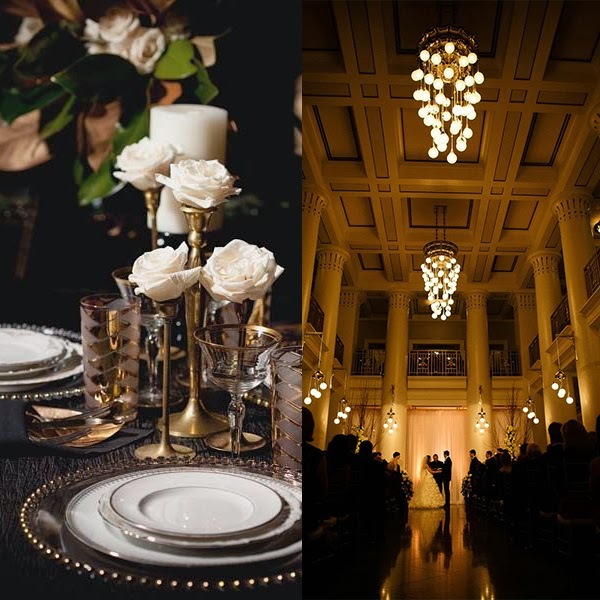 The Schermerhorn Symphony Center in Nashville is a fantastic Art Deco venue that can suit a wedding of any size. The building is beautiful. Also based in Nashville is designer Olia Zavozina, the dress featured below is one of her designs. Keep an eye on her...she is doing big things. I have the greatest cocktail dress designed by Olia. Anthropologie's bridal line has great Art Deco options as well. And if you choose this style, Laurie could make you some killer paper goods...I love the fonts of that time. What fun this could be! So timeless. I love a basic black tux and bow tie. Just so so classy. I love the color combos here.